The TIC is based in the Heritage Centre on Church Street / Rowberry Street, HR7 4DU. The Centre is also home to an Artist’s Studio and other businesses. It is manned by a group of local volunteers and is the starting point for the Town’s Heritage Trail. 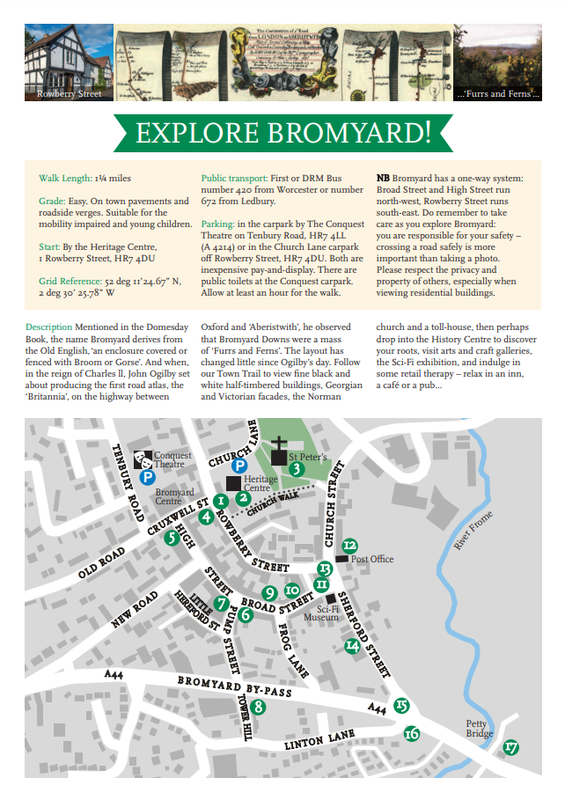 Bromyard is a historic market town first recorded in 840. It is situated in the valley of the River Frome, near to the county border with Worcestershire, on the A44 between Leominster and Worcester. It has a number of attractive half-timbered buildings, including some of the pubs, and the parish church dates back to Norman times. Visitors love the friendliness of the people in our traditional market town – it has many ‘characters’ as well as a wide range of independent shops, studios, cafes and hotels. The surrounding countryside including the Downs offers many attractive walks. Bromyard is situated in the valley of the River Frome, near to the county border with Worcestershire, on the A44 between Leominster and Worcester. Mentioned in the Domesday Book, the name Bromyard derives from the Old English, ‘an enclosure covered or fenced with Broom or Gorse’. In the reign of Charles ll, when John Ogilby set about producing the first road atlas, the “Britannia”, on the highway between Oxford and “Aberistwith”, he observed that Bromyard Downs were a mass of ‘Furrs and Ferns’. The Parish Church of St Peter dates from the 11th century; it is cruciform in construction with a tower on the crossing; the north and south aisles were added later. It has an unusual round turret, giving access to the bell tower. The bells have recently been fully refurbished. In the church there are seven sepulchre tombs in the walls, a 14th century tomb-cover of a knight in armour which came from the closed church at Avenbury, and a Bushel measure. It has Victorian stained glass with one original window. 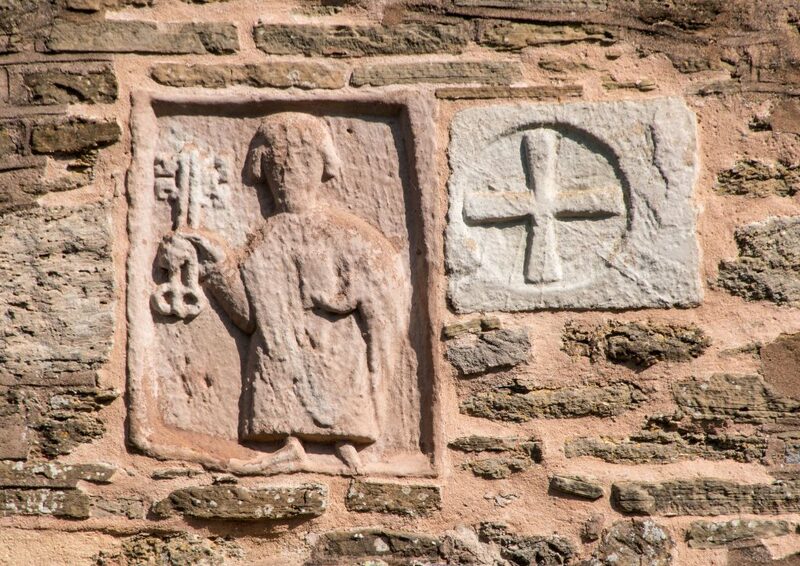 The stone carving of St Peter above the main porch is thought to be Anglo Saxon and the rounded arched doorways are Norman; you can download more details here: the Publisher SPB leaflet. Originally established in 1966, the Bromyard and District Local History Society plays a prominent part in researching and sharing the history of our traditional Herefordshire market town. 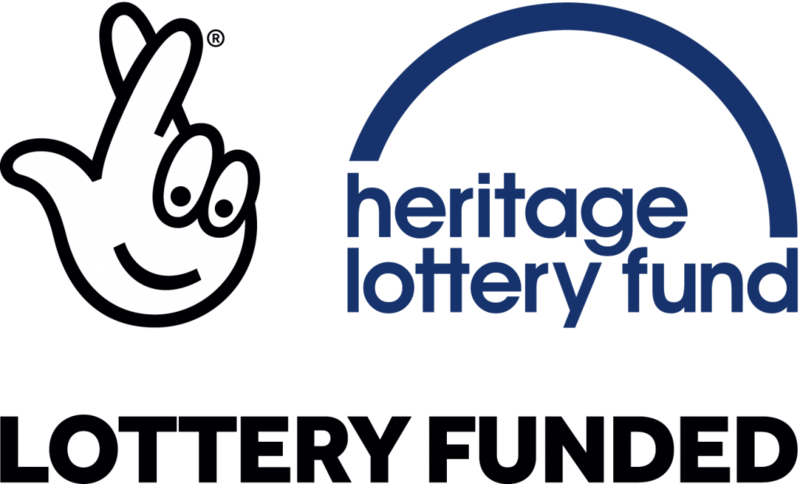 It has its own building, the Local & Family History Centre, at 5, Sherford Street, Bromyard. The Centre is open from Thursday to Saturday, with volunteers providing a warm welcome to those who visit the town. There is always an interesting exhibition, demonstrating facets of the town’s past to local residents and visitors alike. The Centre also has a state of the art climate controlled room for archives, storing many rare manuscripts; the volunteers are trained and qualified to access these, answering queries from members of the public via phone or email from all parts of the world. Many genealogical quests have been brought to fruition through their expertise! Bromyard is mentioned in Bishop Cuthwulf's charter of c.840. Cudwulf established a monasterium at Bromgeard behind a 'thorny enclosure' with the permission of King Behrtwulf, King of the Mercians. Ealdorman Aelfstan, the local magnate, was granted between 500–600 acres of land for a villa beside the River Frome. The settlement in the Plegelgate Hundred was allocated 30 hides for 'the gap [in the forest] where the deer play.' The shire court meeting-place was on Flaggoners Green, now a hill in the modern borough.42 villani (villeins, villagers), 9 bordars (smallholders), and 8 slaves were recorded in the Domesday entry, one of the largest communities in Herefordshire. The first mention of the spelling "Bromyard" was in Edward I's Taxatio Ecclesiasticus on the occasion of a perambulation of the forest boundaries to set up a model for Parlements in 1291. It began to appear regularly in the church and court records of the 14th century. Like Leominster, Ledbury, and Ross-on-Wye, the town and fair at the manor of Bromyard was probably founded in c1125 during the episcopate of Richard de Capella (1121–1127). As with those other three towns, the bishops of Hereford had had a manor and minster there since Anglo-Saxon times. As at Ledbury the church was collegiate, with an establishment of clergy known as "portioners", but without a master and common seal.Surveys for the bishop made c. 1285 and 1575-80 give valuable information about the town's first few centuries.Bromyard contained 255 burgage and landowner tenancies in the 1280s which paid a total rent of £23 10s 7 1/2d to the bishop. A Toll Shop at Schallenge House ("Pie Powder" from pieds a poudre) was where market tolls were paid and summary jurisdiction dealt out. After the Reformation (1545) there were 800 communicants making Bromyard then "a market toune...greatly Replenished with People", the third town in the county with a population of about 1200 souls.By 1664 Bromyard had fallen behind Leominster, Ledbury and Ross in population Besides the central town area, the large parish used to consist of the three townships of Winslow, Linton, and Norton; these areas were civil parishes in the 20th century. During the civil wars, Prince Rupert's troops in March 1645 "brought all their [power] on Bromyard and Ledbury side, fell on, plundered every parish and house, poor as well as others, leaving neither clothes nor provision, killed all the young lambs in the country, though not above a week old.Charles I stayed the night in Bromyard at Mrs Baynham's house (now Tower House) on 3 September 1645 on his way to Hereford In 1648 Parliament ordered the sale of the cathedral's property in Bromyard Forrens (i.e. outside the borough) for £594 9s 2d. Bromyard Grammar School was re-founded in 1566 after the original chantry endowments had been nationalized. In 1656 the City of London Alderman John Perrin, who came from Bromyard, left the school £20 a year, to be paid through the Goldsmiths Company. The company improved the school buildings in 1835. The building still stands in Church Street, but the school became part of the first comprehensive school in Herefordshire in 1969, now known as Queen Elizabeth's.